Shari Stone-Mediatore specializes in the politics of knowledge, a theme she has pursued through Kant, Marx, and Arendt as well as feminist philosophy, Latin American philosophy, and narrative theory. Having turned to philosophy after several years of public-interest and human-rights work, she also is particularly interested in drawing on philosophical texts to throw light on contemporary social problems. Her book, Reading Across Borders: Storytelling and Knowledges of Resistance (Palgrave Macmillan), inspired the theme for the 2004 New Jersey Project on Inclusive Scholarship and Pedagogy, at which she was the keynote speaker. Her work appears in journals including Hypatia, The Journal of Global Ethics, and The National Women’s Studies Association Journal. 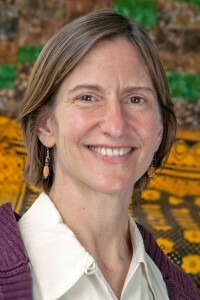 She was a Mellon-Grant guest-lecturer at St. Louis University and also has guest-lectured at Northwestern University, Wooster College, and University of California, Berkeley. At Ohio Wesleyan, she teaches courses in Social & Political Philosophy, Ethics, Environmental Ethics, Feminist Philosophy, Critical Thinking: Ideology Critique, and topical courses such as Modernity & Colonialism. She received a Great Lakes Colleges Association New Directions Grant to study intercultural education and has led student trips to Honduras and Chiapas, Mexico. “Storytelling/Narrative.” In The Oxford Handbook of Feminist Theory, edited Lisa Disch and Mary Hawkesworth (Oxford University Press, 2016). “Attending to Others: Simone Weil and the Challenge of Epistemic Pluralism.” Philosophical Topics, Special Issue on Pluralism vol. 41, no. 2 (fall 2013): 79-95. “A Not-So-Global Ethics: Contradictions in U.S. Global Ethics Education.” Philosophy in the Contemporary World (summer 2011). “Cross-Border Feminism: Shifting the Terms of Debate for U.S. and European Feminists.” The Journal of Global Ethics (summer 2009). “Challenging Academic Norms: An Epistemology for Feminist and Multicultural Classrooms.” The NWSA Journal (summer 2007): 55-78. “Examined Lives in the Shadow of Iraq.” The Humanist (March/April 2006). “Women’s Rights and Cultural Differences.” Studies in Practical Philosophy (spring, 2004). “Postmodernism, Realism, and the Problem of Identity.” Diaspora: A Journal of Transnational Studies (spring 2003). “Hannah Arendt and Susan Griffin: Toward a Feminist Metahistory.” In Presenting Women Philosophers, edited by Sara Ebenreck and Cecile Tougas (Temple University Press, 2000): 91-103. “Chandra Mohanty and the Revaluing of ‘Experience’.” Hypatia 13(2). Reprinted and translated into Spanish in Hiparquia (Vol. X No.1) January 1, 1999. Dr. Stone-Mediatore’s philosophy class from Ohio Wesleyan University studied the Zapatista community in Chiapas, Mexico, for a first-hand look at an indigenous community and it's endeavors to build a more just and inclusive democracy.